Theres only ONE real beer to consider in Indonesia. 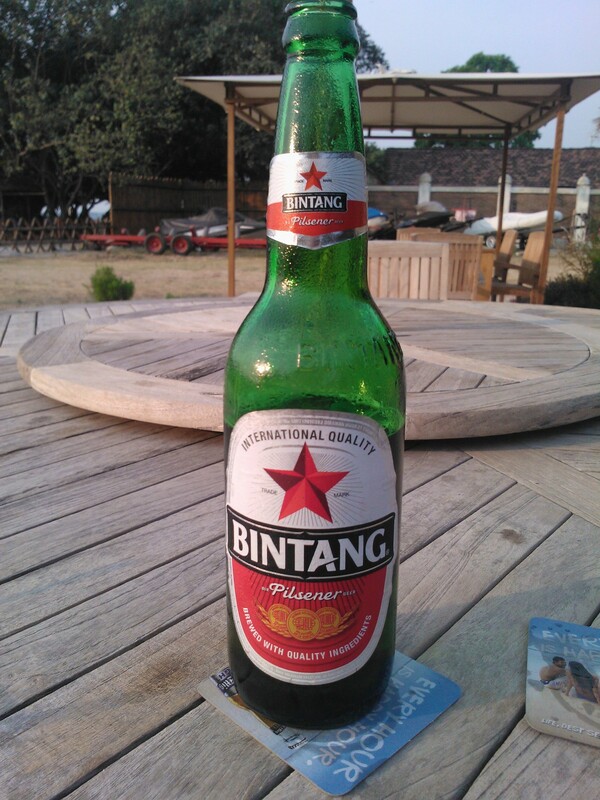 Bir Bintang – star beer. 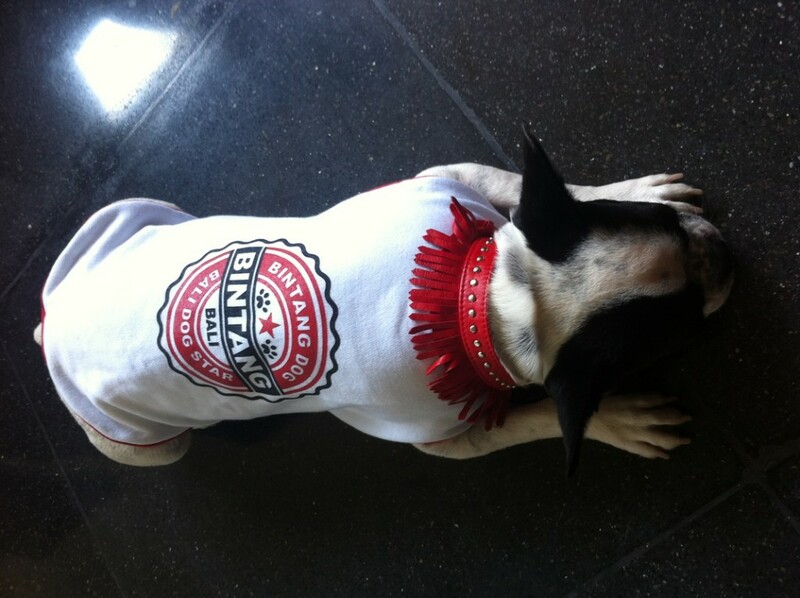 The mighty Bintang is adored by many and drank by millions. Brewed in Surabaya in Java you may recognise the red star on the front of the bottle. In fact the whole bottle design is similar to that of Heineken who owns the brand. Unfortunately it does taste similar to Heineken which is not so good and surprising won the coveted Gold Medal for Lager Beer Category and awarded as ‘Champion Beer 2011’ at the world’s class beer competition, the Brewing Industry International Award (BIIA 2011) in London. Great praise indeed. All hail the mighty Bintang !! 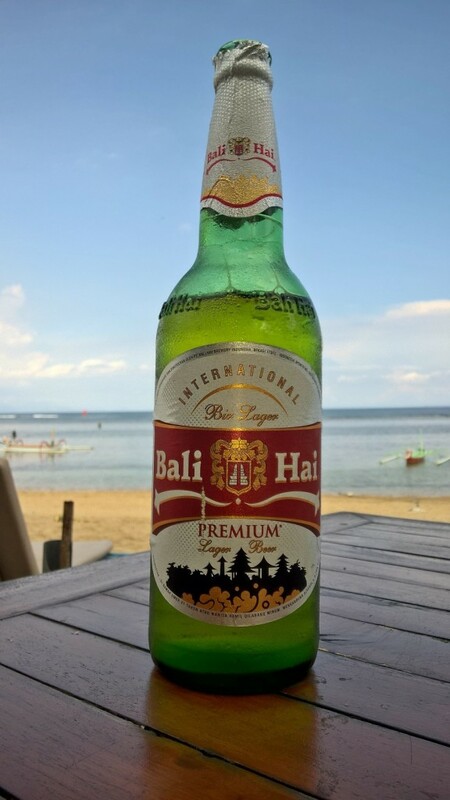 Bali Hai has a completely different taste to Bintang, its a clear golden colour with a lot sweeter taste. I’m not saying its better but its just different to Bintang, Bintang being a little more bitter in the after taste. So not a massive choice in Indonesia but both do a good job of cooling you down in the Indonesian heat ! !